One of the tasks I wanted to perform during the condition inspection was a check of the differential pressure of the Rotax 912ULS engine. According to the maintenance manual, this could have been delayed until the engine has 200 hours but thought creating a baseline now would be a good idea. The differential cylinder pressure test involves a special testing apparatus called a Differential Cylinder Pressure Tester. The test apparatus consists of a built in pressure regulator and two matched pressure gauges. The pressure gauges are connected together via an orifice and valve. The size of the orifice will change depending on the displacement of the engine … typically, engines with a cylinder bore smaller than 5" will need a tester utilizing a .040" orifice and, of course, the Rotax 912ULS engine falls into this category. (A tester for larger bore engines typically utilize a .060" orifice). 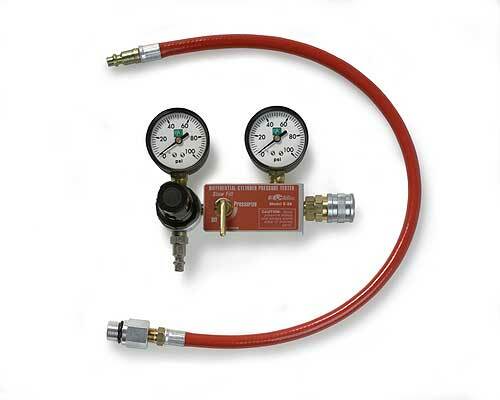 The ETC Model E2A differential cylinder pressure tester with 12mm adapter hose. To accommodate various spark plug hole and thread sizes, the ETC Model E2A differential cylinder pressure tester pictured above can be ordered with various hoses that have the proper threads for the spark plug holes on the engine being tested. The correct adapter hose for the Rotax 912ULS engine requires a 12 mm thread to screw into the engine’s spark plug holes. A differential cylinder pressure tester IS NOT a compression tester in that it does not read the actual compression value for a cylinder as one would with the typical compression testing gauge. Instead, the differential cylinder pressure tester gives an overall indication of how well the piston rings and valves are sealing. This is accomplished by connecting the tester to an air compressor then adjusting the regulator on the tester so the left gauge displays 80 psi … this becomes the reference pressure. The test reading is obtained by placing the cylinder under test to top dead center and slowly opening the valve to allow the pressure to enter the cylinder under test. While making sure the left reference gauge still displays 80 psi (adjust regulator if necessary) the reading on the right gauge is recorded. The difference between the left reference gauge and the reading on the right gauge establishes the differential which can be represented as a percentage. According to the Rotax maintenance manual, the maximum permissible differential is 25% so that would be a reading as low as 60 psi on the right gauge. With the valve off (facing down) and the ETC Model E2A differential cylinder pressure tester connected to an air compressor, the regulator knob on the tester is adjusted until the left reference gauge displays 80 psi. Caution: One can become seriously hurt while performing this test if not very careful. The instructions caution the user of potential dangers and suggest the testing be performed while a helper holds the propeller when opening the valve to apply air pressure to the cylinder under test. This is truly good advice especially if new to using a differential pressure tester because if the cylinder is not at a perfect top dead center, there will be a tremendous amount of rotational force applied to the propeller. I have helped perform this test in the past and was well versed in what can happen if not careful. It can be done by yourself, but it is tricky. After the left gauge is adjusted to 80 psi place a finger in the spark plug hole of the cylinder being tested and turn the propeller until you begin to feel the compression stroke pushing air out of the cylinder then screw in the 12 mm adapter hose into the spark plug hole. While tightly holding the propeller, very SLOWLY open the valve just enough to allow a little air to pressurize the cylinder enough to feel some torque being applied to the propeller. Next slowly move the prop back and forth a little while watching the right gauge … the object is to move the propeller to the position where a peak reading is obtained. The peak reading will occur when the piston is at or very near top dead center. At this point, while holding onto the propeller really tightly continue SLOWLY opening the valve further until it is full open and record the reading on the right gauge … then close the valve and wait a little for the air to bleed out of the cylinder. 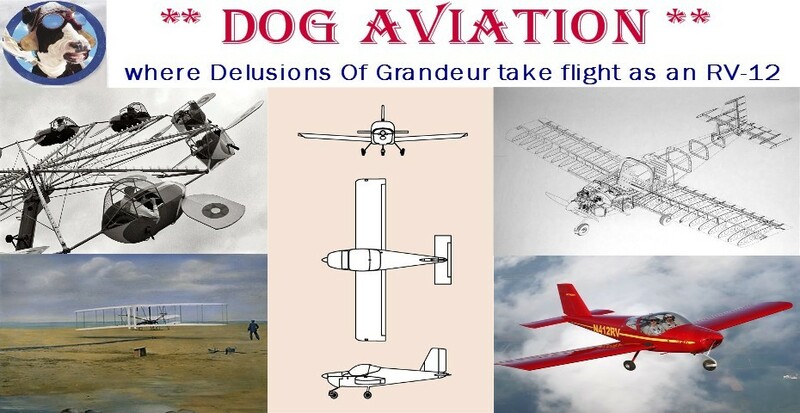 If done correctly, it is very easy to hold the prop at top dead center with one hand …. however, if you are off a little it takes both hands to prevent the prop from moving. Unfortunately, because of the inherent danger of performing the differential pressure testing by myself, I felt it was not safe to try fiddling with a camera to obtain photos showing pressure readings on the right gauge. All the cylinders showed approximately a 1% drop which is about what I would expect from a virtually new engine since there is always a small amount of air that gets past the rings even on new engines.